The good news, is you have 5 more MCAT dates in 2018 than were offered in 2017 (and there were 5 more in 2017 than the previous year). Oh joy! And remember, you can always bend your score upwards by getting a better score so why not try all 20? 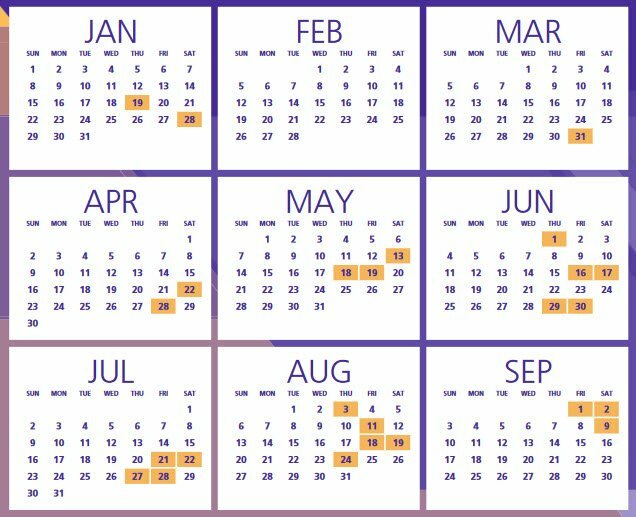 Back to reality…here is the list of all 30 MCAT dates for 2018, including the date (around 30 days later in most cases) when your score will be revealed to the world. As you can see, the MCAT dates are grouped around the most beneficial times for students….early enough in the semester (three in January!) so as not to crash your whole semester—only the first part—and early enough to repeat the test if needed; plenty of dates in April and May to satisfy earlybird applicants; a large grab bag of MCAT dates in June-August when school’s out; winding up with some straggling dates in early September to beat the final FINAL deadlines in October for most med schools. The dates in the most popular months will fill up fast, so you should schedule as early as you know your preference. Otherwise, you may have to attend a test session in your 2nd choice of location. I didn’t plan ahead and had to fly to another state to take mine! All tests begin at 8 a.m.
Good luck, but mostly good prep! This is one of those moments in life you don’t want to walk in unprepared, or gripped by anxiety. There are so many ways to ensure that you walk in with an air of confidence, knowing you can handle whatever is thrown your way. Also, click here if you want to know: what’s the best MCAT prep course? How will the new MCAT be scored?